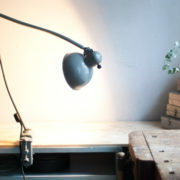 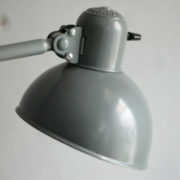 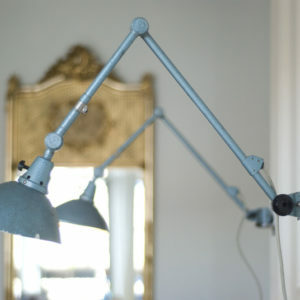 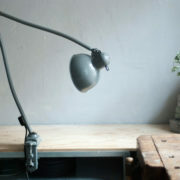 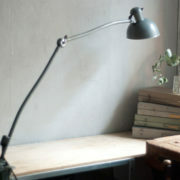 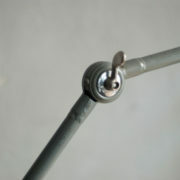 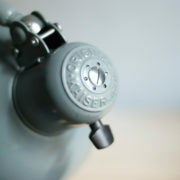 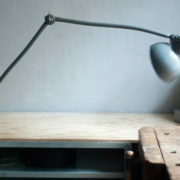 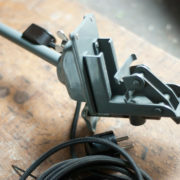 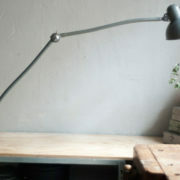 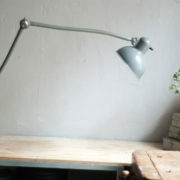 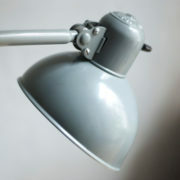 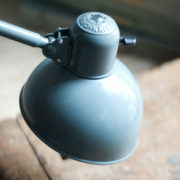 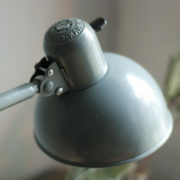 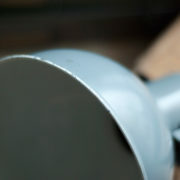 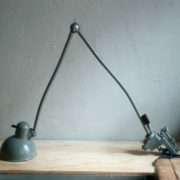 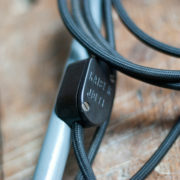 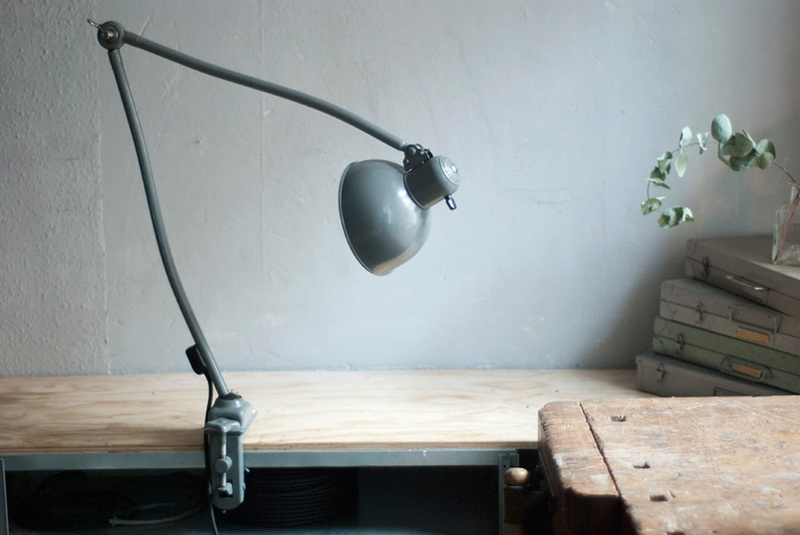 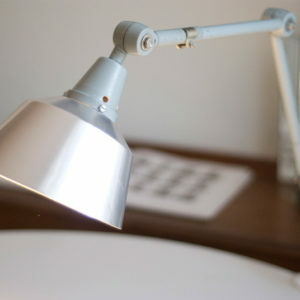 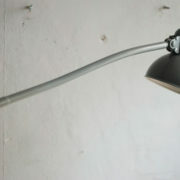 Kaiser Idell 6726 grey architect lamp in original condition.The company Kaiser & Co. Leuchten KG was founded in 1895 by Hermann Kaiser, a silversmith and industrial designer. 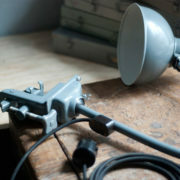 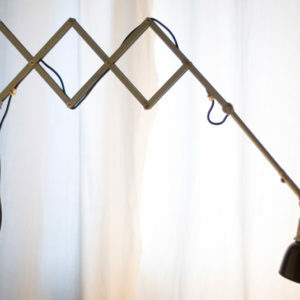 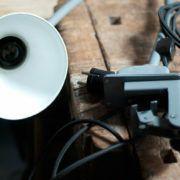 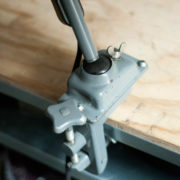 Christian Dell designed lamps for the lamp factory Kaiser u. Co. a wide range of luminaires (more than 500 models) with the idea to create standardized and interchangeable lamp parts. 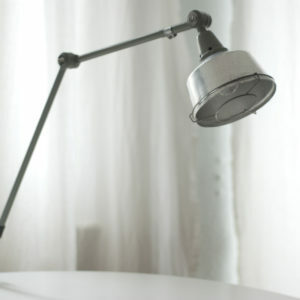 The lamps Idell (combination of ‘Dell’ and ‘Idea’), designed by the designer Christian Dell, are now regarded as design classics – a timeless ideal with a simple and clear avant-garde design, fine materials, and a basic functionality.